Courchevel 1550 is a quiet village, offering cheaper accommodation and restaurants in comparison to the higher village of 1850 and is an ideal destination for family holidays. Although located lower down the mountain it is only a gondola ride away from the more glamorous Courchevel 1850 and from there access to the rest of the ski area is simple. Skiers can access the upper slopes of the resort by taking the 6 person high-speed gondola up to the hub of the Courchevel 1850, La Croisette, or choose to take one of two other lifts leading up to the ridge separating the resort from Meribel. All the villages in the Courchevel Valley are linked by a free shuttle bus and those staying in Courchevel Village, 1550 have the added bonus of the gondola up to 1850, which stays open until 7.30pm evening. Courchevel Village, 1550 is home to some friendly bars and restaurants, with the atmosphere in general being rather peaceful, and offering much better value for money than the villages’ glamorous neighbour, Courchevel 1850. Whilst skiing in Courchevel Village, 1550, other activities to try include snow-shoeing, snow-mobiling, ice-climbing, swimming and ice-skating. Rue des Grangettes - Tel: 0479 08 24 11. Web: www.intersport-courchevel1550.com. Home fitting and delivery. Tel: 0683 51 50 21. Web; www.priviledgeski.com. Skis Locations Sandrine 203 km/h. Résidence Adret. Tel: 0479 08 29 96. 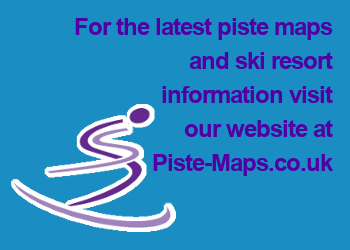 Web: www.skiloc-courchevel.com.